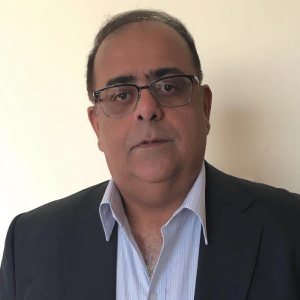 The founder and director of ACCVAT TAX CONSULTANCY is Sanjay Khetrapal who qualified as a Chartered Accountant in 1987 and since then he has been involved in various finance roles in the Middle East. He started his career with the BIG FOUR (E&Y) and in the past 20 years, he has been heading the finance function for Smith Intl/Schlumberger which included the Middle East, Africa and the Caspian geographies. With the varied experience and realizing that financial roles have evolved and now competent finance personnel need to work together with businesses whether they are Start-ups, SMEs, Medium-sized businesses or Multi-nationals and be at the forefront of every strategic decision made, Sanjay Khetrapal has started the firm to cater to the growth being witnessed in the ME region. The firm has tie ups with leading professionals in the field to ensure that the clients are provided with the best and expert guidance to meet their diverse needs.